Spice up your recipe collection with this quick, easy and tasty chicken curry. Skip the store-bought jar of curry sauce and make your own. 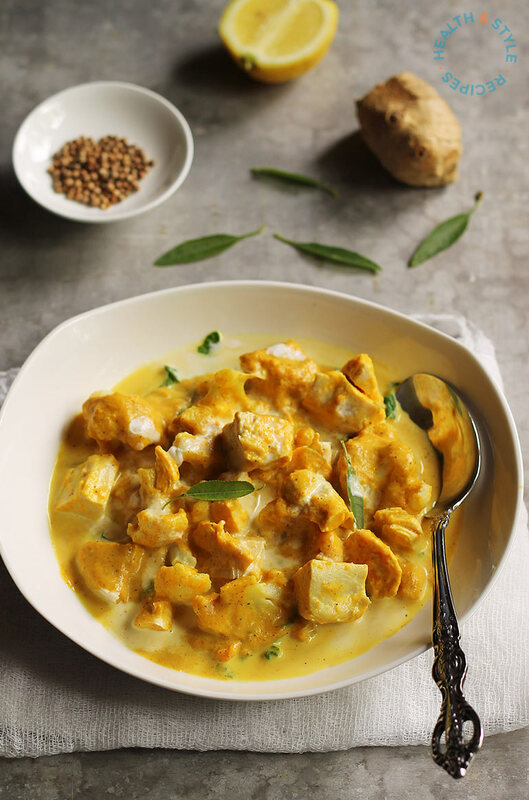 This creaminess of this chicken curry comes from the coconut milk. We swap out regular and calorie-rich coconut milk with light coconut milk. To healthify this recipe further we go easy on the oil – an ingredient often used liberally in curries. We also skip the sugar – another favorite. If you want to add sweetness, use honey instead. These few tweaks can slash the calorie content off a recipe by hundreds of calories. 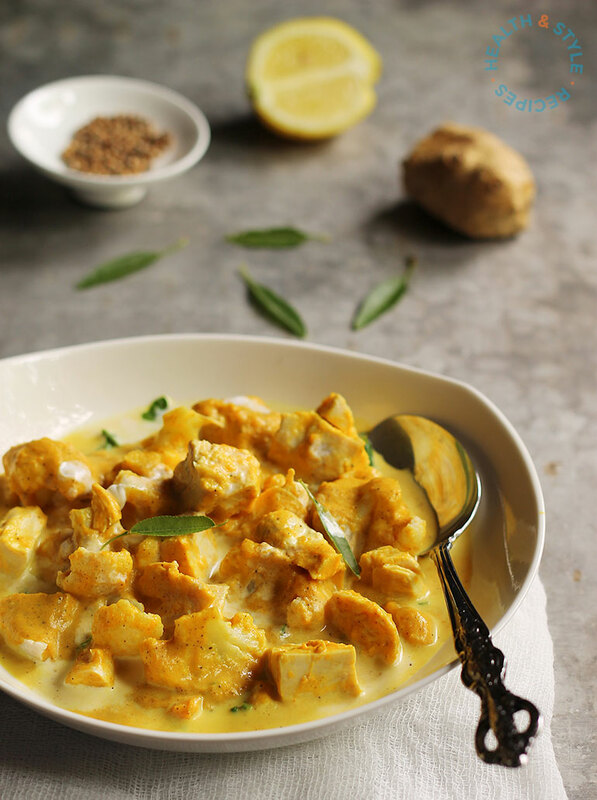 This healthier chicken curry makes for a flavorful and fragrant meal. It is made with onion, garlic, ginger, cauliflower, chopped tomatoes and a whole lot of aromatic herbs and spices. This healthier chicken curry makes for a flavorful and fragrant meal. Place the garlic, ginger, coriander, curry powder and chilli in a blender and blend into a smooth paste. Set aside. In a large saucepan heat the oil medium heat. Add the onion and cook for 3-4 minutes until softened. Then add the paste and cook, stirring for a 2 minutes or until fragrant. Add the tomato, curry leaves and cauliflower and cook for 2 minutes. Add the coconut milk and water. Bring to a simmer. 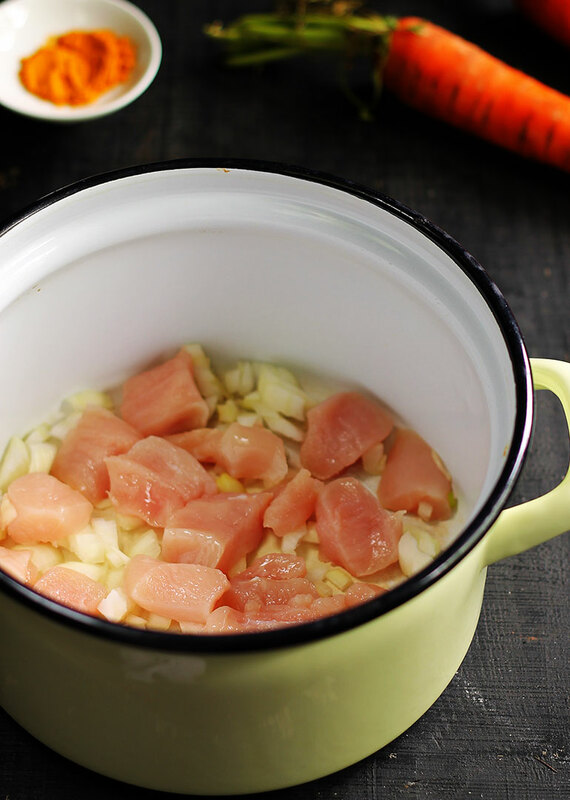 Add the chicken, season and cook for a 20 minutes or until the chicken is just cooked. 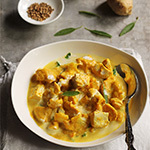 Garnish the curry with coconut milk and serve immediately with lime or lemon wedges.